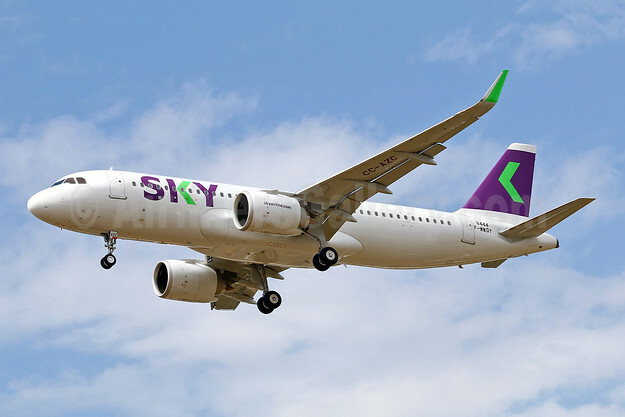 Sky Airline has taken delivery of its first A320neo aircraft, on lease from ALC, at a delivery ceremony in Toulouse. Top Copyright Photo (all others by Airbus): Sky Airline (Chile) Airbus A320-251N WL F-WWDY (CC-AZC) (msn 8444) TLS (Eurospot). Image: 943415. This entry was posted in Sky Airline (Chile) and tagged Airbus A320-251N WL, CC-AZC, F-WWDY, msn 8444, Sky Airline, Sky Airline (Chile) on September 27, 2018 by Bruce Drum.